The spring travel season has finally come back around again, and that means it’s time to start talking about your destination goals and the supplies you will need to be comfortable wherever you go. There’s a lot to do this time of year—spring break for both kids and college students, the beginning of the warm weather tourism season in many parts of the world, and of course, outdoor sports. No matter what you’re doing, you are going to want to be able to pack light without having to worry about having everything you need. That means having the clothing you need to layer effectively, and knowing how to strategically pack so you can get the most out of each outfit. It also means you need to understand how to save space in your luggage without compromising on your basic needs. The weather changes can come fast and furious during the springtime, and it doesn’t matter whether you are in Florida, on the Spanish coast, or seeing historic sites closer to home as the weather becomes accommodating, you can expect change to be constant. When you are packing, you will want to make sure you research the window of possible temperatures you will meet, that way you will know how to mix and match effectively. Quilted Jacket: If you are headed anywhere that sees snow regularly over the winter, then your spring temperatures could dip down enough to make you want something a little heavier than a sweater or a long-sleeved tee. A Dickies quilted jacket is perfect for lightweight warmth, and it is easy to store if temperatures pick up. Hoodies: When you are looking to flow with the weather, insulated and lightweight hoodies give you options that can work as a middle layer under your coat or jacket or as outerwear on their own. In climates that warm up a little more quickly than most of southern Canada, you might even find that your hoodie is the heaviest item you need. Flex Fabric Pants: When you do need something a little warmer, looking for flex fabrics will help you dress to impress while the stretch fabric keeps the same range of movement you expect from clothes you can work or play in. Heavyweight Tees: It’s not quite time for a light shirt, but you might need short sleeves, and tees also make great base layers when you need to be warm but you know the weather will be shifting. 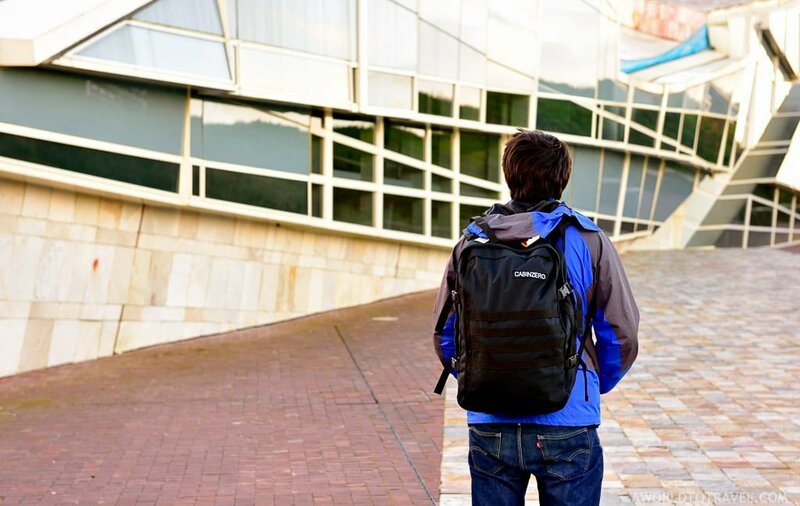 Apart from your clothes, knowing what is essential and what to leave behind can make the difference between having a lightweight travel pack that lets you experience everything while you are abroad and the choice between going without and carrying too much. There are not many items that are necessary, but you will be glad you packed these. A Toiletry Kit: An all-in-one travel accessory kit with nail clippers, a travel toothbrush, comb, and other grooming supplies packs up easily, and they are available with a variety of tools so you can find the one that matches your particular needs. Power Storage: A backup battery or portable charging station with a good amperage out and multiple USB ports will help make sure your devices have enough juice to keep you in touch and taking pictures wherever you go. Communications: Depending on where you go, you may need either an in-country SIM card for your phone or just a burner for when you are traveling. Make sure you also bring a tablet or another device you can use to connect to the internet and communicate with people back home if you do forego a smartphone when you leave the country. Rain Protection: Whether you prefer a portable poncho or an easy-to-fold umbrella, you will want to be sure you have some way to protect yourself from the elements. Cash: It might seem obvious, but your credit cards will not be accepted by every single merchant when you leave your hometown. There are many places in every country where credit cards are accepted, but you will need more cash than you usually carry if you are traveling. Spring travel can be fun, exciting, and a great way to get active again after a long winter, but you do need to be ready when you pack. Bring a little of everything for clothing and plan to pack light with just the essentials and you will be able to enjoy your trip in comfort without having to haul around heavy luggage.